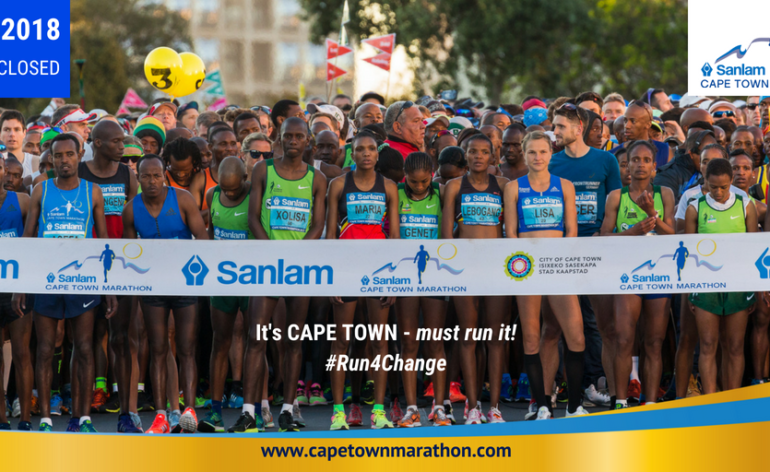 Getting the best out of the Sanlam Cape Town Gold label Marathon is not as easy as it seems at first sight. Unquestionably this is one of the potentially fastest courses in South Africa, but there are a few ‘tricky’ little sections that can cause upset if you do not plan for them. The 23 September date means the historically weather will see a low of 9 degrees and a high of 20 degrees. Of course expectation and reality can be two totally different things, particularly in the whimsical and fickle springtime Cape climate! The current prediction is a milder 11 degree start and 18 degree high with partial cloud cover. If true then it’s almost ideal for fast marathon times. Although perceived as being flat, the reality is slightly different. 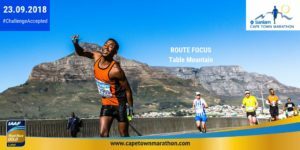 Over the 42km distance there is a drop of roughly 5 metres which is well within the 42 metres allowed for record courses, but along the way runners will climb (and drop) over 375 metres! The steepest of these climbs have 8% inclines which means running paces should drop in the attempt to maintain the most energy efficient running if ‘Even Effort’ – not even pace. When racing for time with a red-line effort, It is important that runners know and plan for the points, and sections, of the route where they will experience changes in effort so that when their paces drop they know that it’s not fatigue setting in but rather the gentle slow poison of a gradual gradient that is pulling them backwards. As a Gold label event, the organisers need to provide timing mats at 5km intervals and these will be available on line to your supporters, and for the elite fields to the media. It is therefore logical to use the same 5k splits for pacing, but with an initial 3km mark not only assists in making allowance for the natural congestion of the start, but also provides guidance on conserving early energy over what should be the slowest sector of the course. 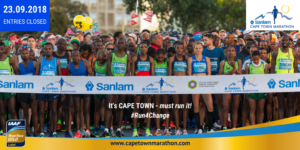 Ironically the first 3km is the second fastest section, but the overall pace to 5k is burdened by the 300m short but relatively sharp climb that starts around 4.5km from the Seapoint Promenade, up Queens Street, to the main street. Of course this is balanced to some extent by the return to the promenade over the following kilometre. Perhaps the longest, toughest and most consistent climb comes just after 10km at city end of Western Boulevard (M6). From there we face the 2.5km ascent up Long Street and Orange to the highest point at the top of Hatfield Street, which signals the drop past the Parliament to Plein street and the City Centre. The drop into central Rondebosch just before Half Way sees a short climb back to the main road, followed by the consistent slow poison to the high point on the Newlands railway bridge, just prior to the cricket stadium. Don’t underestimate this section which is fourth slowest of the ten sections, so “caution” is the by-word for this gentle incline. The new out and back section on Campground Road is followed by a double whammy drop and climb between 26km and 28km. This has probably been overlooked by many runners but makes the 25-30km section the second slowest 5km of the race. From the Hospital corner on Rondebosch Common there is nothing of real substance to concern the well-paced runner for the next 9 km through to the city and 38.5km where we face a one kilometre of climbing to Bree street and then the drop and leg-testing ascent over the bridge across Buitengracht Street to the 40km mark. This ranks as the third toughest section of the race, so keep something in reserve for this one. From there it’s time to pin the ears back and head for home over the down, and flat then down profile to Green point – This final section is where PB’s can be won or lost. 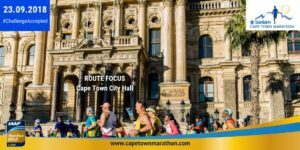 The 10km race is a much less tricky event and basically uses the Greenpoint ocean front. 10km is a fantastic distance for preparation for all other distances so getting a PB or improving performance on the 10km is a straightforward indication that your performance at any other distance up to 100km will be better..